Looking for a USED GP-25T? 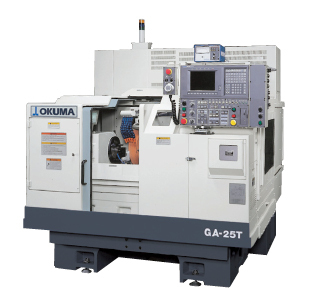 The Okuma GA/GP-25T compact cylindrical grinder is available in both plain head (GP) and angle head (GA) and is well suited to fast cycle, small part, easy change-over production. This CNC O.D. grinding machine can perform the following grinding applications. Looking to Purchase a New OKUMA GP-25T?